Did you receive the latest Android 4.1.2 update for your Galaxy Note 2 N7100 device in your country? If yes, then it means you already installed it via Kies or OTA. Of course, if you are not among the countries that received the update you can manually update your Galaxy Note 2 N7100 with the update. In any case, an update to an official firmware will make you lose any rot access you previously had. 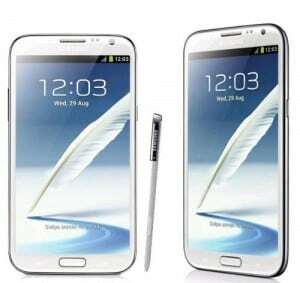 So now you need to read this tutorial in order to root your Galaxy Note 2 N7100 running Android 4.1.2 XXDLL7. This rooting method for Galaxy Note 2 N7100 running Android 4.1.2 XXDLL7 uses CF-Auto-Root-t03g-t03gxx-gtn7100.zip to obtain root access, and you will need to use Odin. !!! Important. Rooting your Galaxy Note 2 N7100 running Android 4.1.2 XXDLL7 will void your warranty. Also this procedure is not an official one, so your phone may get bricked or get damaged in any other way if you are not careful. For that, we cannot be held responsible. Continue on your own risk. Galaxy Note 2 N7100 running Android 4.1.2 XXDLL7. Backup of your entire data. Galaxy Note 2 N7100 drivers installed on your computer. Turn off the Note 2 phone. Connect the Galaxy Note 2 N7100 to your computer with the USB cable. Wait for Odin to recognize your device by showing the yellow box in the left upper corner. At the end of the rooting process your Galaxy Note 2 N7100 will reboot. That means the phone is rooted. This is it. You now have your Galaxy Note 2 N7100 running Android 4.1.2 XXDLL7 rooted. Looking to root the new SM-N900? Here’s a detailed guide with three methods to Root Galaxy Note 3.